The 2017 Atlantic hurricane season will now go down as the most expensive on record. The infamous trio of Harvey, Irma, and Maria served as a wake-up call to home and business owners. And it wouldn’t take a full-scale hurricane to overwhelm you, just a few inches of rain is enough to realize how unprepared you are. As the strongest storms get stronger, you need to create a plan to reduce storm-related repairs. The best solution is to avoid as much damage as you can! Now that the weather is perfect, take a few minutes to review your homeowner’s policy for coverage and deductibles. If you’ve added improvements like an addition or decking, be sure it is covered. Consider adding a separate policy for flood insurance. Now stretch your legs– take a walk around the property and complete a verbal and visual inventory. Narrate, on your cell phone, a tour of your property. Add details such as when you bought equipment and how much you paid. If you have advance notice of an impending storm, use your time wisely. Charge your phone. Quickly check the seals on the windows and doors. Step out on the porch and patio; put away lawn furniture and cushions. Put the car where it belongs, in a covered and secure garage. Even the best plans are no match for mother nature. After a storm, the security of you and your property is the number one concern. Take immediate action; an effective response will minimize the impact the disaster has on your property and can lessen repair costs. Whether your property suffers storm damage from rain, flooding, or excessive wind, engage a team like Southeast Restoration with the proper equipment and experience to quickly repair structural damage to your property. Strong winds rip off shingles or siding, flying debris breaks windows, falling branches pierce roofs and large hail damages structures. Your property would be vulnerable to additional water damage and subsequent mold growth if left open to the elements. Even if you leave the property, your insurance company will hold you responsible for having an exposed and unsafe structure. 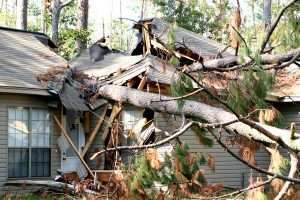 Comprehensive storm recovery services can include expert board-up and tarping services, tree removal, and full reconstruction services. When you have suffered storm damage, call a team that specializes in insurance repairs and follows the highest industry standards. Southeast Restoration Group, (SRG) is a full service licensed general contractor with six locations that serve North and Central Georgia, plus portions of Alabama, Tennessee, and South Carolina. In Columbus, please call 706 -530-0050 or visit southeastrestoration.com. By using the latest in high tech inspection tools, they will develop a clear restoration action plan, with expert project management to ensure on-time completion. All necessary restoration and reconstruction will be services provided through a single point of contact– dedicated to expert restoration.